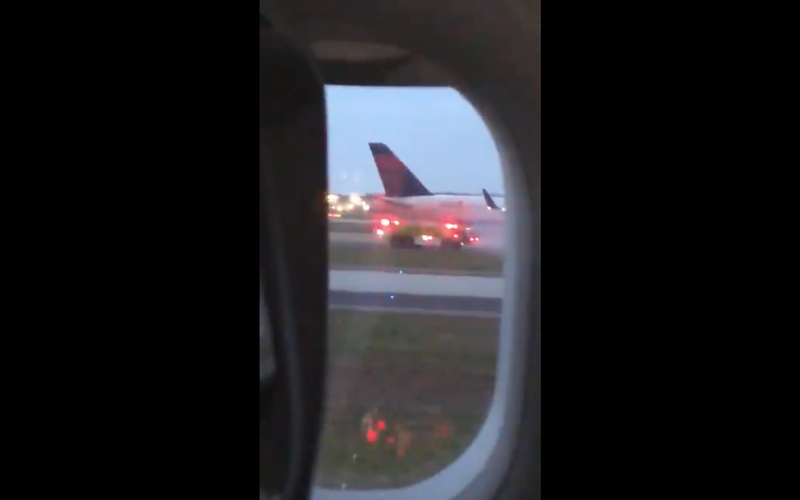 The landing gear on a Delta plane caught fire shortly Thursday after the plane landed in Atlanta, according to the airline and the Federal Aviation Authority said. There were 199 passengers on board, Delta said. The flight had departed earlier from Hartsfield-Jackson Atlanta International Airport for Quito, Ecuador but had returned to Atlanta after a mechanical issue. The brakes locked up after landing, the FAA said. Upon landing, the aircraft's main landing gear caught fire but was quickly extinguished. The aircraft was towed to the gate and the fire extinguished there. The flight will continue to Quito after swapping aircraft, Delta said. One Twiter user recorded video on the incident.